The mid-tray control as an example of a special control can be positioned anywhere on top of the tray according to the clinical picture and requirements. It enables maximum tray utilisation and minimum space restrictions below the tray. 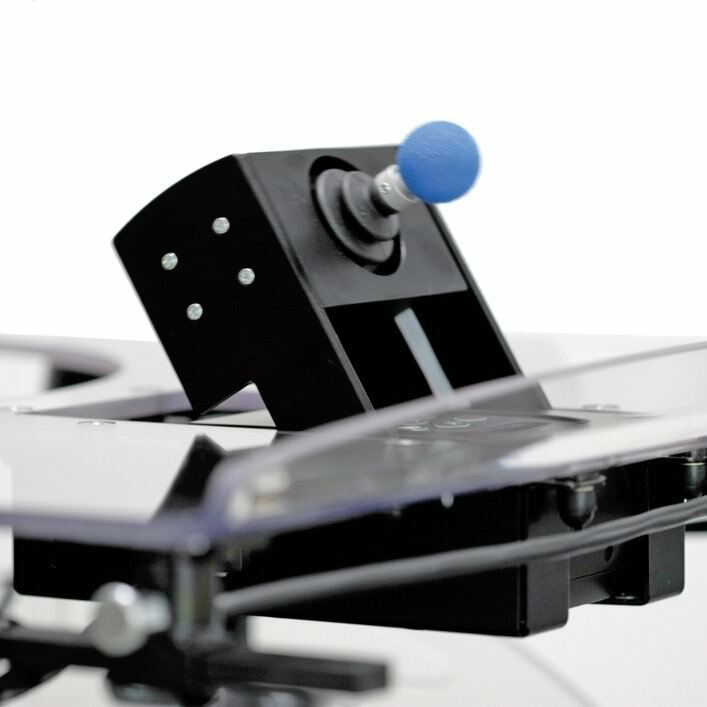 Maximum tray utilisation, minimum space restrictions below the tray through innovative swing-away mechanism. Able to compensate sudden strong forces through programmable working range. Minimum force required, calibration by user possible at any time. Input control with small steering movements. Recommended for chin control. Due to its small size, it can be placed anywhere. Control device can be positioned to meet individual requirements. Not only usable as a hand input device. For comfortable actuation of electric adjustments and further functions, irrespective of driving mode. For individual placement, with different actuation forces and for different function layouts. All functions can be controlled via the foot pedal. The cruise control provides relief to the user. 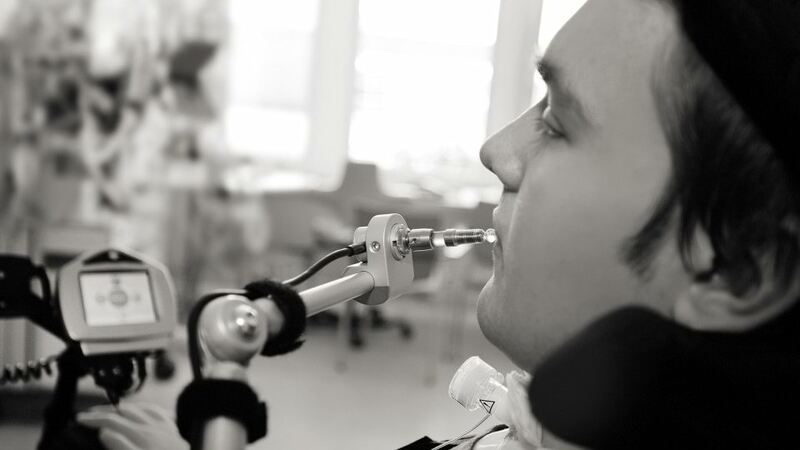 Electric swivel unit in conjunction with midi/mini joystick for chin or lip control. For use by the wheelchair user or attendant, can be used in numerous possible variations. 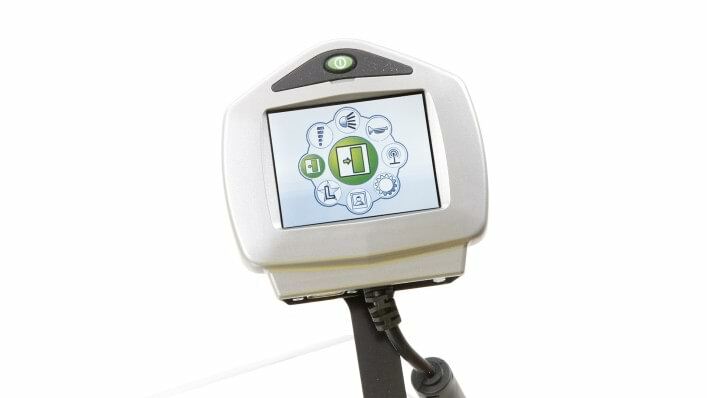 With the help of the innovative enAble50 software, the specialist dealer can set up the control unit according to the individual needs of the user. The better the software is adapted to the needs and abilities of the user, the easier it is for the user to carry out daily activities. The user can also focus more on other aspects of life, such as social contacts or other preferred activities. 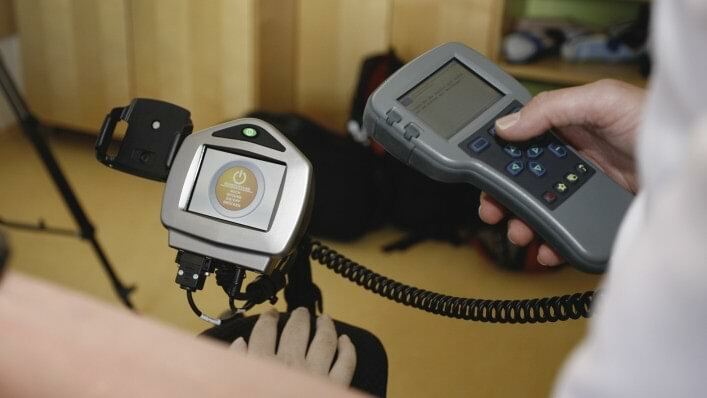 The enAble50 provides a means for precisely adapting driving parameters to the respective wheelchair. It also offers more precise adaptation to motor skills than any other control software. Among other things, the sensitivity of the input module can be increased, so that the user can move the wheelchair with reduced effort. Another example: a specialist dealer can define the intensity of joystick swivel in each direction by means of the X and Y axes. This is particularly helpful if the user exhibits weakness in a particular swivel direction, i.e. greater difficulties in moving the joystick in a particular direction. Especially precise driving is possible for the user as a result. The control unit also features freely programmable outputs for activation of the various functions. These functions are shown on a clearly structured, high-resolution colour display. The display can be custom-positioned on the wheelchair. Via the input device, the user can select menu items, set driving functions, make seat adjustments and control devices in the vicinity by means of various interfaces. 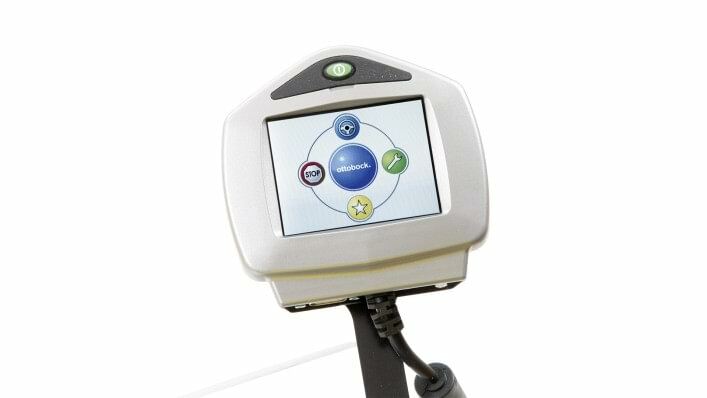 Provides direct access to the driving functions, additional functions, favourites and system shutoff. System shutoff can be replaced by other functions upon request. Selection of the seven most popular and most commonly used functions for fast and comfortable activation – freely programmable by the user. 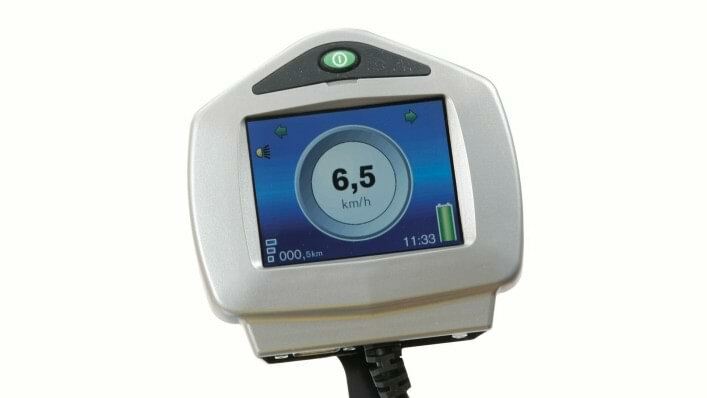 Fast and clear display of all relevant parameters including distance, battery, time and cruise control. No, the installation and placement are straightforward. The adaptation can be performed without programming or electronic intervention in the existing system (plug and play).